Some prepared vegetables can be stored in cold water to maintain their freshness. This is a guide about keep celery and carrots fresh for weeks. Carrots and celery wilt away in the veggie drawer if not eaten in a few days, how sad! I tend to go through 'phases' where I want veggies for awhile, and then they get shoved behind a delicious PIE, where they die a quiet death. With this tip they get a second chance, and so do I! You'll need a canning jar with a lid. Wash and scrub your vegetables. Cut them into strips just a bit shorter than the jar. 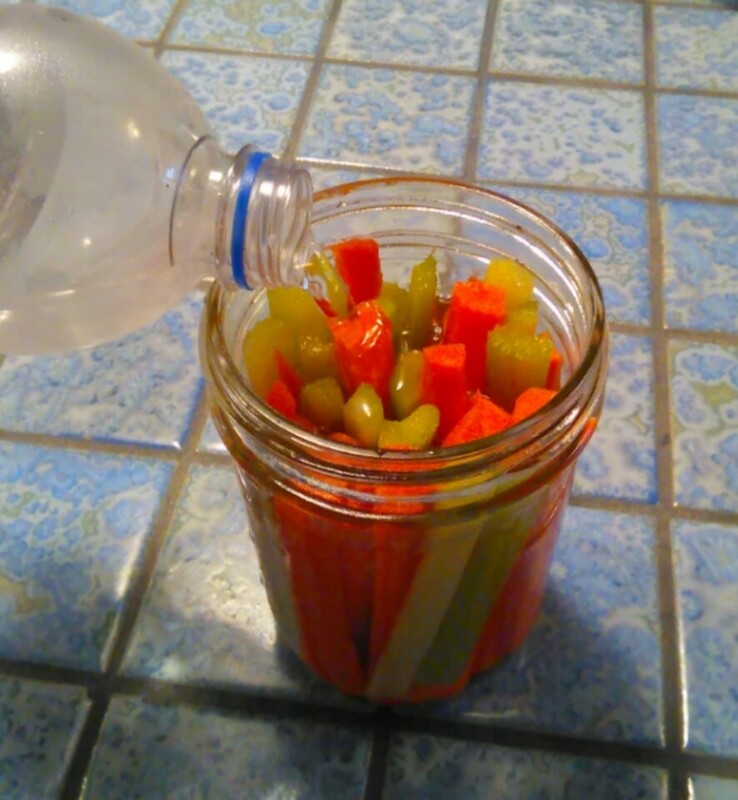 Place your cut veggies into your jar, then run water over them a few times to rinse well. 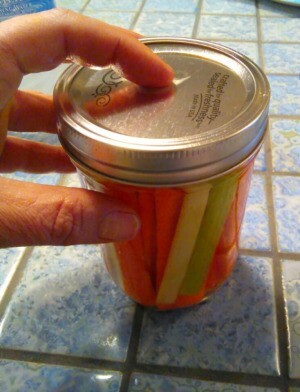 Fill jar to the top with water, screw on the lid, and place in your refrigerator. Since the water covers the tops of the vegetables, air is sealed out and your veggies stay fresh and crisp for a surprisingly long time. Change the water once or twice a week for the freshest vegetables possible. Enjoy! Add a pinch of ascorbic acid (powdered Vitamin C) to help keep the veg crisp. My grandma grew up on a farm and always kept her cleaned and sliced carrot sticks, celery sticks, and radishes submerged in water in closed containers in her refrigerator. This has worked great for me and will keep these items crisp and fresh for about 2 weeks.